On very short notice, I am coaching an Images for Conservation Fund Pro-Am photo tournament down in south Texas on the Santa Margarita Ranch. I am coaching this event in my new role as Coastal Program Coordinator for Wildlife Mississippi. The main target of this photo trip will be white-tailed deer, and not just any white-tailed deer, but BIG white-tailed deer. As many of you know, I’ve worked extensively with deer as a biologist, so we can talk deer biology and management as we photograph deer with Boone & Crockett scores of over 200” of antler!!! 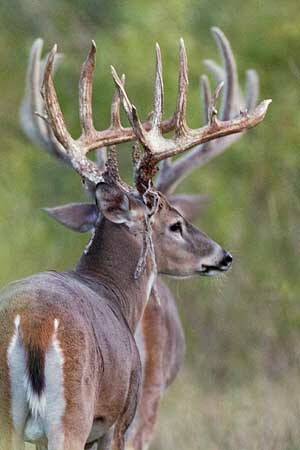 It looks like we’ll hit it around the time that they will be shedding velvet and the bucks are still in their bachelor groups, which will lead to some great photo opportunities. We will also have access to their bird blinds with birds like green jays, caracaras, and more; we can also spend some time in their Swiss Army surplus Pinzgauers shooting white-tails and exotics as well. The main objective of this workshop is for a small group of photographers to capture some stunning images of BIG white-tailed bucks in velvet. We will also take advantage of the opportunity to photograph other white-tailed deer, south Texas birds, and exotic wildlife. Participants should also expect to learn about white-tailed deer management and biology (a great help when captioning and key wording images) as well as habitat management. Techniques and approaches to photographing large mammals and birds will also be discussed and applied so that your skill set will be improved for other photographic opportunities after you leave the workshop. This is an Images for Conservation Fund Pro-Am. 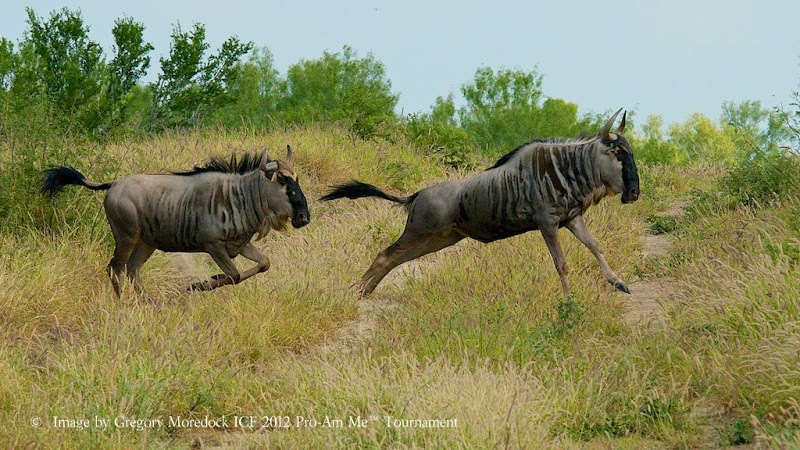 If you are not familiar with their Pro-Am photography tournaments, read the information at this link for more information: http://imagesforconservation.org/pro-am-tournaments/. Also, as usual, Robert will be making sure the participants are getting the shots and considering exposure, lighting, composition, backgrounds, depth of field, etc. before he picks up his camera. This 4-day tournament begins at 6:00 PM on Wednesday, September 11, 2013 and closes at 2:00 PM on Sunday, September 15, 2013. This instructive workshop and competitive photography tournament will be held at the Santa Margarita Ranch in south Texas. 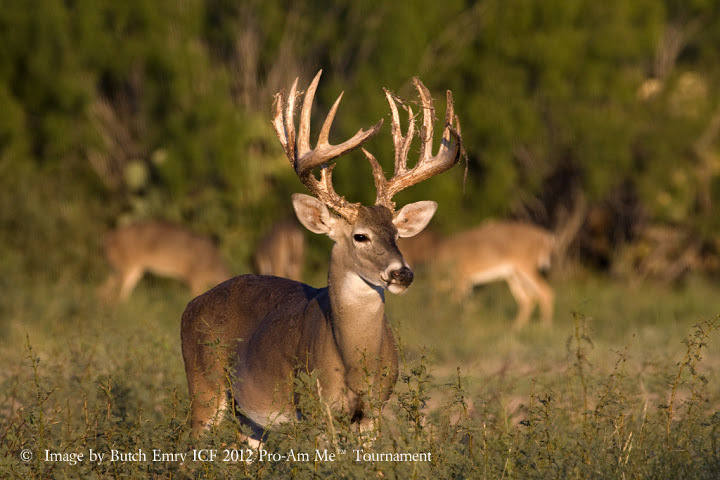 Located just outside of Cotulla, TX the ranch is rich in trophy white-tailed deer and exotics in addition to other native mammals, migratory and resident birds, and native reptiles and amphibians. Participants are responsible for their own transportation to the Santa Margarita Ranch. We can arrange travel from the San Antonio, TX airport if needed. On-site transportation will be provided. 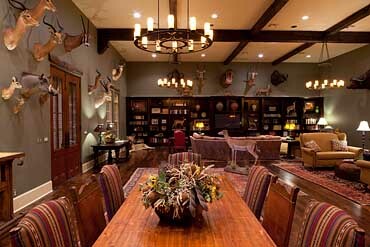 The Santa Margarita Ranch offers superb on site lodging and meals for an additional cost of $200 a night. Snacks and drinks will be available throughout the day. If you have dietary restrictions, allergies, or other special requests (like a favorite drink), please let me know. Bring all the equipment that you would normally bring on a nature photography outing. Most of the deer photography will be at moderate ranges, so a medium telephoto lens will work most of the time, say an 80-200 mm or similar lens. At times, a longer telephoto (up to 400 mm) may come in handy. Of course, if you are a Nikon shooter, their newest 80-400 mm telephoto lens would be perfect much of the time. Having a pair of camera bodies with a medium and a longer telephoto lens would be ideal. Some of the photography may be handheld, but a tripod is recommended in the blinds. Longer telephotos may be used if you want to photograph some avian action (flash, flash brackets, and flash extenders as well). Wide angle lenses will be handy for scenics, especially scenics that involve wildlife. A macro lens might be used for some of the flora, smaller wildlife, and perhaps some items around the lodge. Since digital photographs will be uploaded for the competition, you will also need your computer and the suite of software you usually use to optimize an image as well. Typical weather for this region of Texas in September has lows in the mid-60°F and highs in the upper 80’s to mid-90°F, though some weeks are a little colder or a little warmer. Humidity is likely to be high (75-100%) in mid-September, though it may go as low as 24%. As a whole on any given day in September in this region, there is a 20% chance of rain (sometimes heavy thunderstorms), and the skies are most likely to be clear to mostly clear, though some days are obviously cloudy. Bring comfortably casual field clothes, preferably in drab colors. Light-duty boots are preferred footwear. Throw in raingear, just in case. 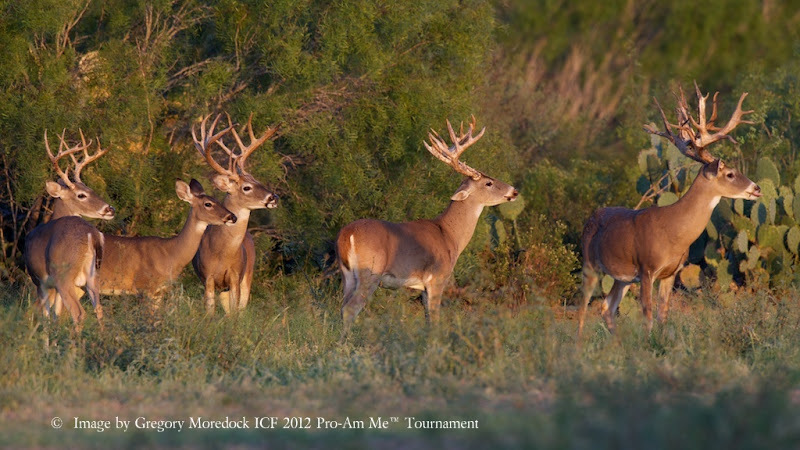 The price for Pro-Am tournament is $1,860.00 per person payable to the Images for Conservation Fund. 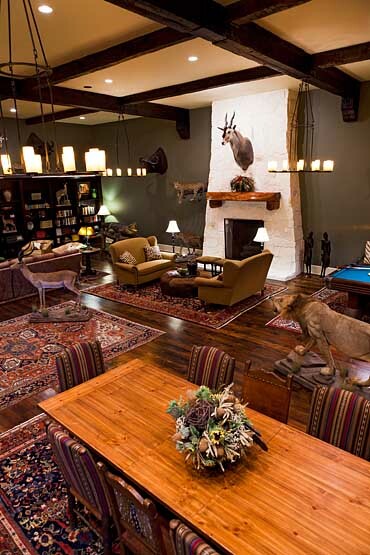 An additional $800.00 per person is payable once on site to the Santa Margarita Ranch for fantastic food and lodging. Note that this workshop requires a minimum of 4 participants. If a non-photographing guest wishes to accompany you on this workshop, please contact Images for Conservation Fund for pricing. Robert Smith is a wildlife biologist by vocation, and that led him into wildlife photography more than 25 years ago. Robert currently shoots Nikon equipment, but is familiar with Canon, Olympus, & other systems. Robert believes that a camera is a tool, and that it is the basic photography techniques & basic wildlife knowledge that are necessary for taking pleasing wildlife pictures. Our workshops are held on a combination of private and public lands, and you agree to abide by all the rules, regulations, restrictions, and ordinances that govern the land we are visiting. Failure to abide by all the governing rules or authority could result in removal of the participant from the workshop with no provision for refund. As with all of our workshops, the health and well-being of our participants and subjects comes first. If we feel like you are stressing or negatively impacting other participants, we will let you know. If we feel like we may be stressing or causing harm to a subject, we will move away from the subject and find something else to photograph. Robert hopes your plans will permit you to join him for this special photo opportunity! If you are interested in making this trip or have any questions, please contact me at 336-339-3497 or at robert@photobiologist.com.